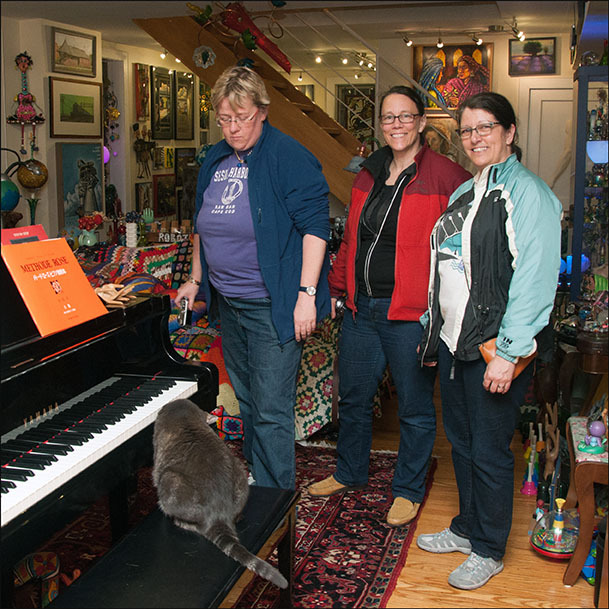 Had a wonderful time this evening entertaining three delightful women (l to r: Simone Andriesen visiting from the Netherlands, Kristin, Gail) who had contacted my purrsonal assistants about an audience with the Diva. Two, as it turns out, live in Philly, and not all that far from me. That would be Kristin and Gail. The third, however, hails from the other side of the Atlantic, more precisely, The Hague, which is the seat of government in the Netherlands (See, I’m not just a pretty face, after all). Her name is Simone Andriesen. We all had such a wonderful time. I played a bit. I posed. They took photos. And I even allowed a bit of petting, which is not something I’m always prone to do. 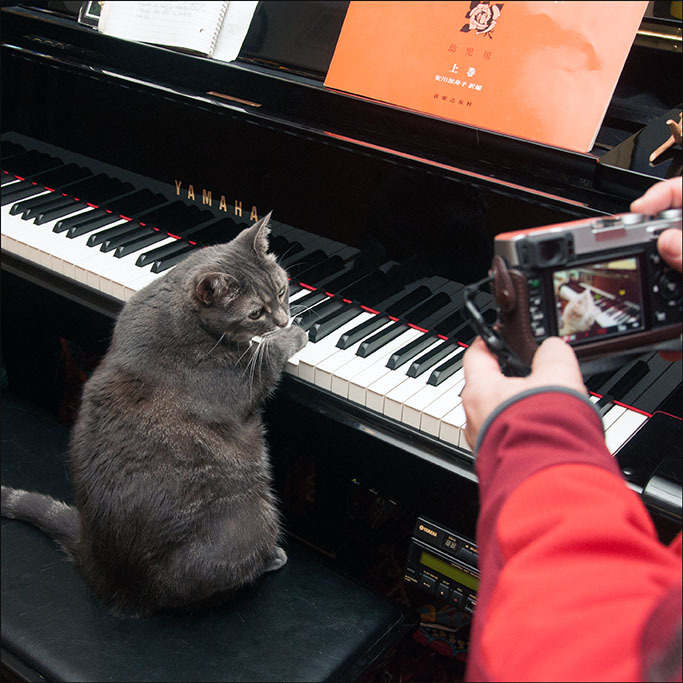 As I always tell my fans and friends, if you’re ever in Philadelphia – perhaps you even live here – and you’d like to have your fifteen minutes of fame by association with a musical diva, just send an email to nora@norathepianocat.com, and I’ll have my purrsonal assistants get back to you. We were delighted to meet with you. What an amazing cat you are. And you can count yourself very lucky with such marvelous sibblings and especially with Burnell and Betsy, your dedicated PA’s.